A dear lifetime friend and extraordinary human being died yesterday. Jim Flower was the best friend you could ever want — he was the best man at my wedding and a stalwart and true human being who was a rock in my existence for the 45 years that I knew him. Last night I had a few stiff scotches in honor of Jim and talked for hours about him with Bill Smith. The three of us had our share of adventures together and no one would have ever thought that it would be stable, steadfast Jim who would lead the way out of here. I know many more of our batch from Carlisle ’71 are thinking about Jim right now. Words fail me but I feel a real need to remember him, to share him, and to celebrate his spirit and character. Funeral Services for Jim Flower will be held at 10:30 AM on October 26, 2013 at St. John’s Episcopal Church, Carlisle, Pennsylvania. 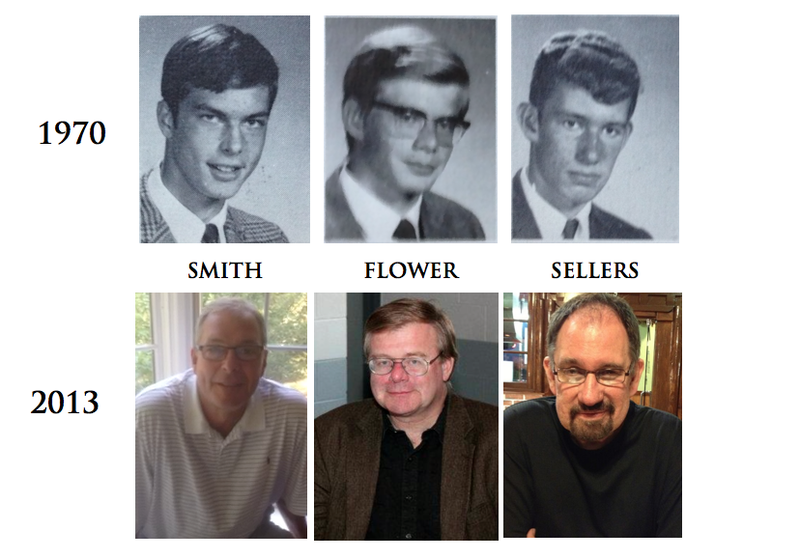 In the fall of 1968 Bill Smith moved to Carlisle as a tenth grader and the very first classmate to reach out to the new kid was Jim Flower. Bill and Jim were both tight ends on the football team that year, and their friendship came about naturally as teammates. They were both big kids — Smith was six four and skinny, while Jim was a few inches shorter but solidly built. The following summer, 1969, I moved to Carlisle. Jim had decided to switch to cross country that year — so I didn’t meet him immediately, but Smith and I met during football camp and it wasn’t long after school started that, through Bill, I met Jim. None of us knew it at the time — but a lifetime bond among three very different characters was about to form. Bill and I were both displaced kids who had moved around a lot — I was a military brat, the son of an Army officer, and Bill was the son of a corporate warrior. We weren’t exactly rootless — but for me it was the 11th new school in 11 years, and Bill had done his share of school transfers as well. Jim, on the other hand, was the ultimate Carlisle kid — born and raised there, the son of a prominent attorney, he was clean cut, hard-working, “straight” at a time when many of us were starting to be tugged in the direction of the counterculture that was flourishing around us. Jim was in the choir at school, and was a member of a half dozen clubs — he was the ultimamte good citizen who knew exactly who he was and where he wanted to go, right from that fall of 1969 when we first met. Yet he was all of these things without even a hint of being rigid, judgmental, or disapproving of those, myself included, who were confused about who they were, and whose wrecking ball teenage lives were as chaotic as Jim’s life was orderly. Somehow the three of us clicked — Smith the cheerful anarchist, Sellers the dreamer-adventurer, and Flower the rock of solidity, integrity, and honor. The three of us took ownership of the term ‘brute force and awkwardness’ which we collectively felt was a good description of our physical attributes and dating inadequacies. Fortunately for us, Bill and I stumbled into positive, stable dating relationships during high school while Jim stayed busy with sports, studies, and activities. 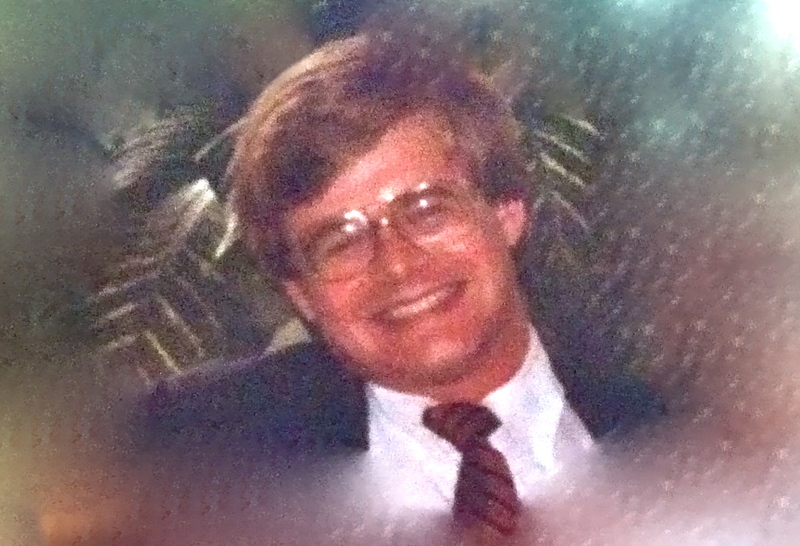 In all things Jim displayed a unique ability to be true to himself, yet enjoy being around others who were positively radical compared to him. I’m sure this wasn’t just manifested within the Flower-Smith-Sellers nexus — it was also something that really came out in all of Jim’s relationships. He was the one guy in school who was truly loved and respected by just about everybody — he had no enemies, he did no person wrong, he was principled and mature beyond his years. If some situation had occurred during high school that required the appointment of a single student to sit in judgment over others, Jim would have been the overwhelming pick for the job. He was that trusted, and respected. But high school friendships tend to fade. What made the three of us click as lifetime friends? I’ve often thought about that, especially lately. One thing I’ve come to realize is that we shared something that more than made up for the different natures of our characters, and that something was perservance, which Jim possessed to an unmatched degree, and which Smith and I also had in substantial quantities. Jim would never quit at anything — he would always, always, get the job done. Running cross country was something that Jim’s self-described “mezomorph body” was never designed to do, yet he relentlessly drove his 200 pound Labrador frame to keep up with wiry greyhounds little more than half his size. 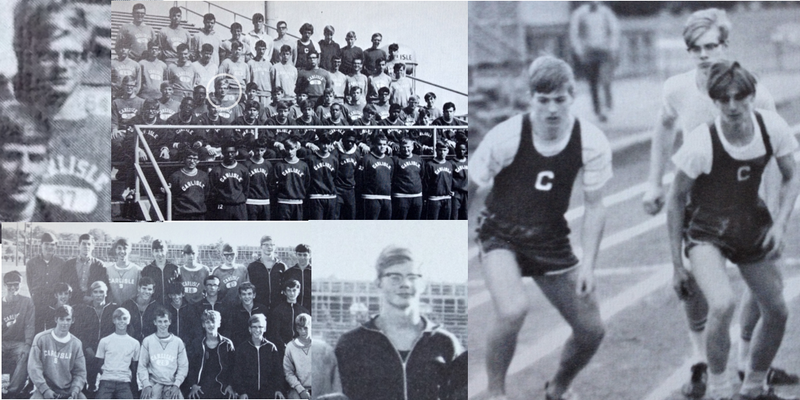 Smith, who ran track with Jim in the spring and saw him compete, says that Jim would typically lie far back, barely keeping the leaders in sight — and then in the final four hundred yards through a sheer action of will and grit, run them down. “Jim didn’t feel pain in his lungs the way the rest of us did, ” Smith recalled during out talk last night. “He just ignored it. He could just push himself harder and longer than anyone.” He did all this in the lonely sport of cross country — no cheerleaders, no stadium filled with fans. For Jim it was perfect and I think it was clear that he took a perverse sort of pleasure in toiling in obscurity. College came and Jim went to Haverford, Smith to Washington and Lee, and I went to Delaware. We stayed in touch — Delaware being in the middle, I hosted most of the gatherings, and there were summers spent in Carlisle. While Smith and I had no idea where our lives would take us — Jim knew exactly where he was headed. It would be Haverford, then law school, and then working in Carlisle as a member of the family law firm and, more importantly, a member of the community that he felt so connected to. For law school he chose Dickinson, which meant moving back in to the family homestead on West South street — something he did without hesitation. I went to New York for graduate school, and Jim came up to visit a number of times. He loved coming to New York and hanging out in Greenwich Village, where I lived and went to school. I had a dog then, a fluffy white Samoyed named Gwen, and we used to take Gwen on walks into Washington Square Park. We were constantly meeting people — old, young, hipsters, street people, male, female — and Jim was curious about all of them. He was a great listener, and he seemed like he wanted to understand other people’s lives. He had a natural empathy about him — he cared about people, and liked to hear their stories. And by this time the external differences between us had grown more pronounced — he was still the buttoned down, straight guy while by the time graduate school rolled around I had morphed from a short-haired son of an Army colonel into a bearded, guitar playing denizen of Greenwich Village. We made an odd couple, yet it made perfect sense to us. Once, in the winter of 1976, Jim and Bill came up to New York together. By that time I was living with my girlfriend of the moment on the upper west side at West 79th and Riverside. 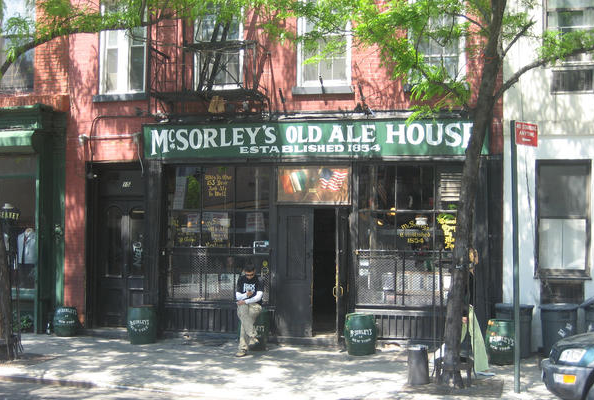 On a Saturday morning Jim and Bill took off and began walking and when they came back that afternoon, they informed me that they had walked from 79th street to Battery Park (9.2 miles according to Mapquest), and then from Battery Park to McSorelys Ale House on East 7th Street (another 3.2 miles), where they had consumed mezomorph-appropriate quantities of beer, and where Jim had been fascinated to see a female patron wander in and defiantly use the urinal next to him — this because McSorley’s had been male-only until a year or two earlier, and now women were allowed – but there were no facilities for them. “Jim just couldn’t stop grinning about the madness of it all,” Smith recalls. That was Jim — conservative, solid citizen — yes. But never stiff, always ready to laugh and appreciative of an adventure, however big or small. More years passed. Jim graduated from law school and began his practice in Carlisle, working with his dad and putting down roots in the community. My wanderings took me to California where I was trying to break into the movie business, and Jim came to visit me there. We didn’t get in much trouble on that trip, perhaps because Smith wasn’t around. I remember an afternoon collecting mussels in Santa Barbara — enough to feed an Army — then the two of us eating every one of them in a battle of the appetites that took no prisoners and left no one standing. Then we woke up, went for a run in which he demolished me, then resumed our eating olympics. This went on for several days — accompanied by long talks into the night. I was trying to figure out what to do with my life. Jim listened, laughed, never judged, and always had something thoughtful to say. After he want back east, I wandered up north for a stint with Greenpeace on the Rainbow Warrior, then somewhere along the line I put in an application with the CIA which, to my utter amazement, they accepted — and so in the spring of 1979 I relocated to Carlisle in anticipation that that summer I would be heading to Washington to get started on that adventure. Those six months in Carlisle were a fantastic moment in our friendship — I was killing time as a lonesome guitar picker in bars like the Gingerbread Man, The Blessed Oliver Plunkett, and Allenberry, while Jim was well into his career as an attorney. He still had time to hang out and I remember lots of late night sessions after the bar had emptied out, annihilating trays of grill cheese sandwiches and loving life, which was filled with promise and stretched on forever. Jim was so stable in his own life — yet was somehow able to take enormous delight in my erratic and impulsive meanderings. I think that was part of his genius — empathy not just as a way of feeling someone else’s pain, but also feeling their joy, and excitement. Two years later, while I was serving a tour of duty in Ethiopia, I came back in June 1981 to get married and Jim was my best man. In August of that year we went to our ten year high school reunion together — Michael and Jim, and Dawn and Lucy. It was completely obvious from the start that Dawn was the love of his life. There was a peacefulness between them — not only did Dawn suit Jim — Dawn understood Jim. She “got” him. There was no doubt whatsoever that this was it for Jim — he’d found his life partner. It went on from there. Smith and I careened through a few decades making a congenial mess out of our lives, while Jim got it right. He knew who he wanted to be with, and that was Dawn. He knew what he wanted to do, and that was serve the community where he had grown up. When I got ignominously tossed out of the USSR in 1986, he and Dawn were there for me and we spent time together again. Somewhere there’s a picture of infant Lenore with a KGB ball cap that I brought back as a souvenir from my adventures. My own life continued to swing between periods where things would fall into place — followed by period of turmoil and change. Smith’s life was about the same. Between the two of us, we left our share of flotsam and jetsam floating in our wake. Jim was the rock. Smith and I had our divorces and re-boots, but not Jim. The boy who had known himself completely at the age of 18 was now a man of forty, and then fifty, building a life that made him feel connected to the community he loved so much. He didn’t just practice law — he became a part of the community in dozens of other ways,large and small. He made me want to be a better man, make better choices, be a better member of society. He did that without ever once preaching at me or cajoling me or in any other way trying to influence me. He did it by the example he set, by the person he was, and the values he embodied. He was that good of a man, and I’m better for having known him. Deaths always have meaning — and its up to those left behind to figure out what the meaning is. Jim leaving us now, just as we are all turning sixty, seems to be saying something to us. What? We lost other classmates, tragically, early in life — but this is different. Jim’s life was cut short — but he lived a long, fruitful, and meaningful life. He touched many lives; he served the community he loved; he stood as an example of honor and compassion for anyone who knew him; he inspired us all in different ways. He built a family and maintained friendships for lifetime. Jim was always a leader, and in a way that I can’t fully articulate, it seems that in his early death he has once again been a leader. He got there ahead of the rest of us — but we’ll all get there soon enough. And before leaving, he set the finest possible example of how to live. We should celebrate his life, remember all the wonderful and unique things about him, and keep him in our hearts as we live out our days. Thank you to everyone for reading,c ommenting, and sharing here and on Facebook and at Caring Bridge. When I was writing the post, I was frustrated by the fact that I couldn’t come up with a good picture that really caught Jim’s spirit — I found some stuff from when he was 16, and some stuff from when he was pushing 60 — but they didn’t quite do it for me. None of them really did what a great picture can do — illuminate what someone really is. Now, with the help of my favorite (and only) ex-wife Lucy Sellers, I have in my possession a snapshot of Jim that captures his spirit perfectly. The pic was taken at our wedding in 1981 where Jim was the best man. The original is a much longer shot with a a crazy/beautiful/funny bride who has just jumped into Jim’s lap. When she did that, Jim burst into one of the great smiles ever — and the photographer caught him just at the perfect moment. This is the Jim I knew, and is how I’d like to remember him. I think even if you didn’t know him you can tell a lot about him from this picture. Thanks Lucy for keeping it all these years, and for sharing it. Dear Dawn and Family, I am so sorry to hear of Jim’s passing. I knew him from working at the Historical Society and he was such a pleasant, kind person. I will miss him. I hope, too, he is in a better place and free of pain. I’m sure he will always be looking out for his loved ones. I had the honor of knowing his parents, siblings, Dawn, and to a lesser extent, his extended family. As an only child it was a wonder to me how such a large family could stay so determined and — well — downright GOOD. I will miss Jim and am sorry that he had to leave the world at this time. His influence will remain with us for our lives, however, I know. Words cannot convey the depth of sadness we feel at Jim’s passing. As others here have repeated many times, he was kind, generous, thoughtful, bright, and hard-working a man as one could ever know. His service to his community was remarkable. He was such a genuine man. When he looked at you and asked how you were, you knew he really meant it. No going through the motions for him. It’s hard to believe we have lost this wonderful person. Please know that our thoughts and prayers are with you. I am pleased that the community has had a chance here to pour out its respect, admiration and high regard for Jim. Jim was all that has been described. He was gracious, selfless, honest, bright, civil, conscientious. Time spent with Jim was always time well spent. For many years Jim was a member of a poker group in which I also played. Actually, I do not remember what kind of poker player Jim was, but he was always fun to play with. We will all miss Jim very profoundly. To Jim’s family and friends: my heart aches as I try to find words to represent not only my own feelings, but how from a CASA (Court Appointed Special Advocate) Program perspective, we so highly respected and valued Jim’s sense of humanity and being as he served as the hearing officer in Dependency court hearings. He was an icon–always present, unwaveringly respectful and fair; a stabilizing calm in an often tumultuous courtroom, and infinitely PATIENT. I don’t expect I’ll ever know another person with as much focused patience as Jim had. On behalf of the 168 CASA volunteers with whom Jim had some involvement over the past 13 years, and from Linda, Pam and myself in the CASA office, we send our deepest sympathies. He will be sorely missed. li had the honor of knowing Jim during my career at the Carlisle Area School District, where he served as the district’s solicitor. In my position of Head Nurse, I had many occasions to consult him on legal issues that involved student health services.. He was always so entirely helpful and easy to talk with. I really appreciated having such an accessible and knowledgable attorney as a resource. He was a very kind and thoughtful person, and I am so very sorry that our community, and your family has lost him .he will be greatly missed by all of us. My sincere sympathy. I knew Jim from many years ago, and remember among much his love of good music. But most of all I think of Jim’s eyes, the kindest eyes I’ve ever known – they had a glow that sounded down even kinder words, encouragements, advice. Blessings and condolence to all the wonderful Flower family. So very sorry for your loss of Jim. I admired Jim in his roles as a father, lawyer, and president of the hospital Board. He was a fine man and his passing is a great loss to the community as well as a too soon loss to the family. Jane and I will keep you Dawn, Lenore, and Jamie in our prayers. My condolences to the Flower family. May your fond memories of Jim give you comfort. Dawn and family, Jim was an amazing person and one of Carlisle’s finest. It is truly sad that he is now gone. As a fellow CHS 71 grad it was great to run into Jim on High Street walking between the office and the Courthouse. I sat on the HARB with Jim for a couple years. When he was chairman of the HARB his patience was endless, never cutting anyone’s presentation short no matter how long it may have been. In some small way that is what I remember most about Jim, he was a great listener, he gave great advice, he was honest and had great integrity. 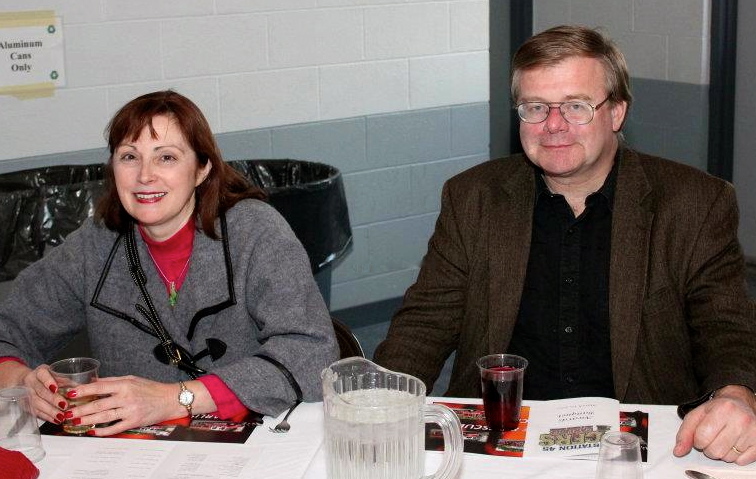 Dawn ,Lenore and Jamie, It was my great pleasure to be Jim’s law partner for almost 10 years. All of the great things previously said about your husband and father are absolutely true. Jim was a caring, kind, patient and insightful person and attorney. All of his former business associates, and the lawyers who worked with Jim, will truly miss his unique abilities and friendship. Dear Dawn and family, I am so saddened to hear of Jim’s passing. He was truly a great, compassionate man who loved his family and his community. He will be truly missed. I have said many prayers for Jim and I will continue to pray for you and your family. My sincere sympathy. Lynda Mann, class of 1971. Dawn and family – I am so sorry for the loss of Jim. I have been praying for you all and am very sad to hear that he has passed. Keep your faith and be strong. He is an angel on your shoulder now and will be watching over you from a safe and pain-free place until you meet again. I have many wonderful memories of Jim and all of you especially after I picked Waylon at a party in your home which was James & Faith’s at the time. Waylon drank his first beer out of Jim’s beer mug. The look on Jim’s face was priceless! Waylon never drank any beer again. Dear Dawn, Lenore and Jamie, I have thought and thought as what to write and if I sat for hours I couldn’t put into words all that I want to say, but this is the best I can do. Jim was a gentleman… he had character and was kind, and had such love for his family. He always smiled when he would see me and say hello. He was patient even when I would mess up someone’s name when tranferring a call. I will miss his wit and laughter, but most of all I will miss Jim. A true measure of a man is not counted by his wealth, but by his friends, and oh what a rich man he was. I am blessed to have known him by working for him if only for 7 years. You will be missed dear friend. As another member of Carlisle HS class of ’71, I knew Jim from being in many classes with him. I remember him as quiet and very kind. Deepest sympathy to all who loved him. My first view of Jim was a tightly wrapped infant on his mother’s hospital bed. My last was at Hershey Medical Center. During the intervening years I saw a man with such fine qualities that I would run out of positive adjectives if I tried to really describe him. But one quality I just can’t ignore is his graciousness. Even in his hospital bed, Jim was gracious–welcoming, warm, kindly, ever polite and intelligent. Let me add one more: integrity, something seemingly rare today. I know you will cherish your memories of Jim. We all will. His entire extended family will miss him intensely, as will the little community church in Laporte, which without his years of leadership as the chair of the board would probably by now be unpainted, unorganized, unincorporated, poorly financed and barely a footnote in Laporte’s history. Certainly, in his home town of Carlisle the many, many organizations and individuals who have benefited from his dedication and thoughtful counsel mourn his loss and remember him with gratitude and fondness. Jim was a good man, a very good man. Jim will be missed very much. I enjoyed getting a “Good Morning Cyndie” from him everytime he came into the office. He was such a soft-spoken, laid back, personable human being. Always there to help those in need! Many heart-felt prayers are coming your way. I worked with Jim when I was a legal secretary at the law firm of Saidis, Flower & Lindsay. Jim was always so kind and respectful. It was a pleasure to get to know Jim and work with him. He touched many lives including mine. I will be keeping all of you in my thoughts and prayers during this difficult time. My deepest condolences. A nicer man could not be found. Our condolences to Dawn and the rest of the family. Turner and I are so sad to hear of Jim’s death. It has been such a struggle these last months. I am glad that you had a vacation in the west before this all began. Jim is is a better place now, beyond suffering. But now the grief takes hold of us all. I have known Jim since we were babies–Myers cousins all of us. And Turner has known Jim since we were in our 20’s. He enjoyed talking law together, and we will both miss him a lot. Our prayers are with you, the closest family, as you make it through the next days and weeks and months. Dawn, Lenore and Jamie: Always the gentleman, understanding, caring and compassionate and with a smile. A devoted husband and father. A brilliant attorney. That was Jim. I am finding his passing very hard to understand and accept, as I am sure you are. I only wish I had been strong enough to visit him in the hospital. I last saw him in his office on June 28th. He will be missed by many. I am so very sad to hear about Jim. I have known Jim since I was a little girl when my mom, Merlene, started working for him. I remember being young and at one of his Christmas parties, and breaking ornaments on his tree while playing with Lenore. During my time working for Children and Youth, it was comforting to have him as the Juvenile Master when I was presenting cases to the court. Even though he was to be impartial, I always felt like he had my back, and would stick up for me with “difficult” attorneys.Jim was truly a great person and will be missed by so many. Sending my condolences to the Flower family. I’m a social worker who worked for Cumberland County Children and Youth Services from ’01-’06. Even though I’ve moved away and now live in Chicago, I heard of his passing this AM & felt such great sadness. This article was beautiful. Jim Flower touched so many of our lives and I always felt he was such a special human being and I could tell he genuinely cared about the position he was in which dictated the future and safety of so many children at risk of abuse and neglect. I, like many of my social work colleagues from CCCYS, were often with him two times a week during court proceedings and felt such gratitude to work with him. This was a beautiful remembrance. Thanks for putting it together so eloquently Mike. Jim was a wonderful quietly courageous and focused boy and man. I have nothing but respect for him. May his family take heart in all the lovely memories they have created and may Jim rest in eternal peace. Sending my condolences to Jim’s family from Los Angeles. I knew Jim before most of the folks here — he lived down the street from me on Louther before his family moved to a bigger house on West South Street when he was about ten years old. Growing up, I can’t ever recall anyone every saying anything negative about him — he was decent, through and through, and I’m sorry to hear about your loss. Thank you so much, Mike. This is beautiful and touching and very comforting. Thank you Mike. What a beautiful, poignant, accurate, and heartfelt remembrance. I was a twerp hanging around the Flower family back in the 70’s, classmate of Tom, teammate one year on that cross-country team, and admirer of Jim Flower. He was graceful Clydesdale, cool square guy, intellectual commoner, funny straight man, and the most grown-up kid I ever knew. How could anyone be that well rounded, humble, smart, compassionate, and have integrity beyond measure? His model of leadership has been felt my countless people. God bless the Flower family. Chuck, this is among my favorite descriptions of Dad from the past few days–thank you for adding this. Mike: Thank you for sharing this. I practiced before Jim for about ten years in his role as Juvenile Dependency Master before I stepped down from it at the end of last year. I saw him several times a week because of that work. I’ve missed the conversations we shared before, in between, and after hearings. Jim is one of the people I’ve come across who has made an indelible mark for the better in my life and in the lives of many others. Although he has passed, the ripples of his life go on. As a former classmate and fellow grad of Carlisle ’71, who has led a much less exciting life than you, it was interesting to “catch-up”. I’m going to read your Jon Carter book. This was a beautiful tribute to Jim and your friendship. I have known the Flower family since my family moved to Carlisle in 1973. I have not been so very sad at the loss of any fellow attorney from then until now. All the comments about Jim are exquisitely true. I hope that time will heal the tear in your hearts as you recall all the loving moments you had with him over the years. You and so many others will miss him terribly. Remember he is loved and at peace now. What a beautiful legacy he leaves. An exceptional remembrance! Thank you for sharing. Jim is all you mention and more. How lucky we are to have known him! Super Typhoon Heading Straight for Lawaan, Samar — PLEASE be careful!